I love Colin Baker. I should probably get that out of the way; lest this review seem sycophantic in the extreme. He was my Doctor growing up and I’ve since been extremely honoured to work with him on a film. He’s a great actor and a charming, generous man.Right. 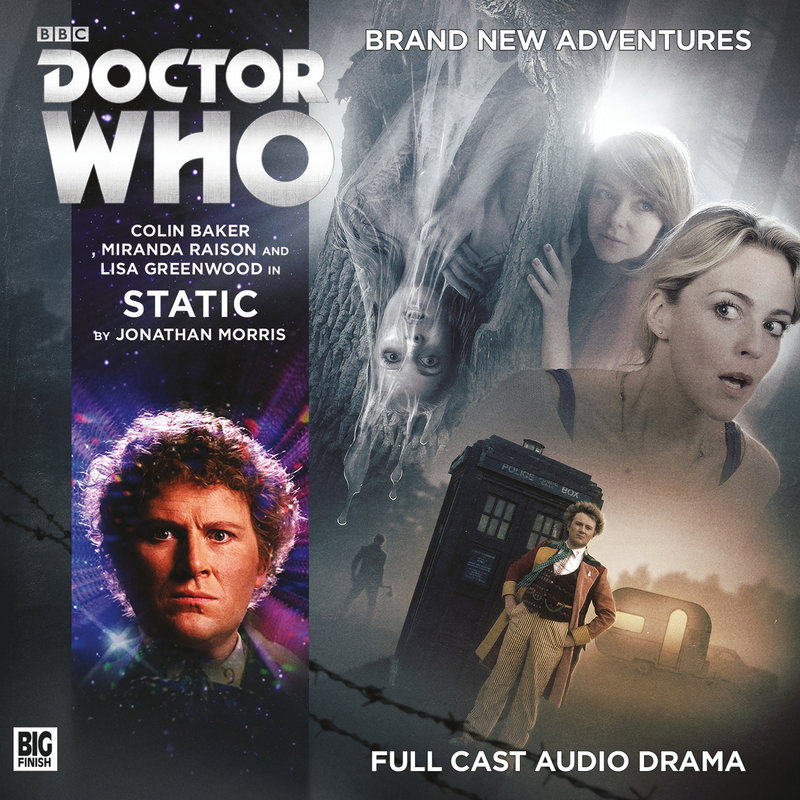 Taking all of the above as read, and sparing Colin’s blushes any further, Static is one of the most purely enjoyable (and unsettling) Doctor Who stories in some time and it rounds out a fantastic trilogy for the Sixth Doctor, Constance and Flip. It’s passed into fan lore that Big Finish ‘rescued’ the Sixth Doctor from some of the (to my mind) unfair criticism faced by the character’s on-screen incarnation. This is true to the degree that they finally gave Ol’ Sixie scripts worthy of the actor’s ability. (Robert Shearman’s The Holy Terror, for instance, stands up against any Doctor Who story in any medium.) They also expanded the variety of the TARDIS teams with which he appeared, which allowed for different aspects of the character to emerge, and Colin Baker has seized these opportunities with both hands. Perhaps the golden age of the Sixth Doctor audios was his partnership with Maggie Stables’ Evelyn, a glorious run of largely excellent stories and a truly heart-warming, hilarious and, sometimes, tragic Doctor/Companion relationship. There have been cracking tales told with all of his companions (Mel and Peri, as played by Bonnie Langford and Nicola Bryant have also been able to spread their wings in the audio adventures). But, in some ways, there hasn’t been a team that felt new in the way Evelyn did. Constance and Flip have been great on their own, but together, this is a classic TARDIS team, allowing for a rich tapestry of character beats. This trilogy has shown all three leads at their best and Static is a fitting conclusion. Basically, it’s extremely well-written and beautifully performed. It’s tense, gripping and smart. Anyone who loves great, scary Doctor Who, with a fine script, sharp-as-a-tack or other similarly pointy thing direction and three lead actors at the height of the powers, should shove Static in their ears immediately. And I still love Colin Baker!